"My wife and I have this old baking dish that we picked up somewhere many years ago. It's a good quality baking dish, which is why we like it, but it's stained and doesn't look very nice. We've tried cleaning it with all sorts of products and chemicals, but the stains simply refuse to come off. So now we've given up. We'll still use it for baking, but not as much as we'd like to." "One night we had some friends over for dinner. My wife had cooked so much food that we'd run out of clean dishes, and so for dessert she had to use this old baking dish. It wasn't a problem and the night was a success. Afterwards, my friend offered to help me wash up, so while I washed the dishes he dried and put them away. When I got to the old baking dish I cleaned it and gave it a good scrubbing, then, somewhat embarrassed, handed it to my friend. He looked it over and then jokingly said " I think you missed a spot." I laughed and proceeded to tell him how many times I'd tried to clean it previously, but the stains remain. He asked if I'd be willing to let him have a go. "Sure" I said somewhat skeptically, "knock yourself out." He said he'd need a few things, then rattled off a list of 5 or 6 different products. I went searching and found them all, lining them up on the kitchen counter. He then asked for a bowl and spoon, which I gave him. I watched with interest as he mixed various amounts of these ingredients in the bowl, eventually forming a sticky paste. He then took the old baking dish, and applied the paste to the stained areas. Setting it down, he told me to leave it overnight and then wash the paste off. I said I would and thanked him for trying (still doubting that anything would clean those old stains off)." "The next morning, after washing up the breakfast dishes, I looked at the old baking dish still sitting on the counter where my friend had left it. The paste had dried and was now hard and crusty. I put it under hot running water and started to clean off the paste. To my surprise, as the paste came off so did the stains! I got excited and worked faster, revealing more of the clean dish. When I'd finished, I held in my hands the same old baking dish my wife and I had used and loved for years, and yet I barely recognised it. It was literally spotless! I immediately called in my wife to look at it, and she was as surprised as I was. 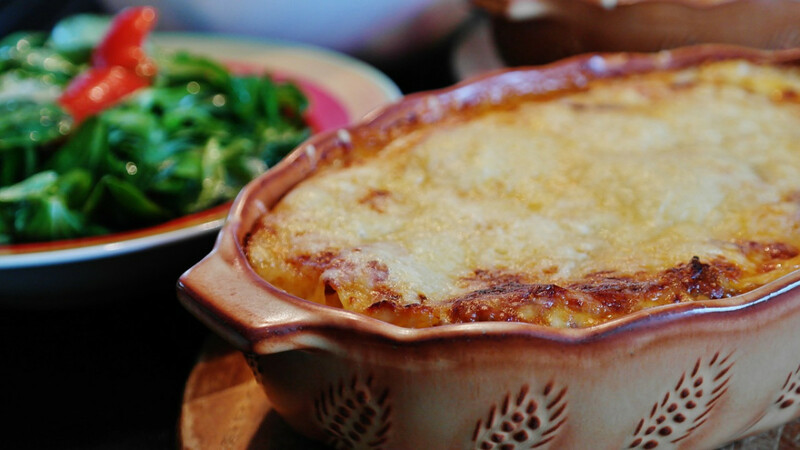 That old baking dish is now the first thing my wife pulls out of the cupboard when we have guests over for dinner." "As Jesus was walking along, he saw a man who had been blind from birth. “Rabbi,” his disciples asked him, “why was this man born blind? Was it because of his own sins or his parents’ sins?” “It was not because of his sins or his parents’ sins,” Jesus answered. “This happened so the power of God could be seen in him. We must quickly carry out the tasks assigned us by the one who sent us. The night is coming, and then no one can work. But while I am here in the world, I am the light of the world.”"
"Then he spit on the ground, made mud with the saliva, and spread the mud over the blind man’s eyes. He told him, “Go wash yourself in the pool of Siloam” (Siloam means “sent”). So the man went and washed and came back seeing!" "His neighbors and others who knew him as a blind beggar asked each other, “Isn’t this the man who used to sit and beg?” Some said he was, and others said, “No, he just looks like him!” But the beggar kept saying, “Yes, I am the same one!” They asked, “Who healed you? What happened?” He told them, “The man they call Jesus made mud and spread it over my eyes and told me, ‘Go to the pool of Siloam and wash yourself.’ So I went and washed, and now I can see!”"
The pastor looked up at his congregation and said, "I tried washing that old baking dish many times in vain. I eventually gave up. I couldn't do it. I needed help. The blind beggar couldn't see. There was nothing he could do to make himself see. He needed help." "Jesus is the help that we need. When we can't, He can. He has the power to wash away all stains, to make us all spotless and clean again. You just need to accept His help." "So the next time you see an old, stained baking dish, remember the story of the blind beggar, and remind yourself that Jesus is the ultimate stain remover."